Artaud’s separation from the Surrealists was not amicable. A rough break was perhaps inevitable considering the Surrealists’ tendency toward confrontation and disruption, a disposition further provoked by the view that Artaud was a sell-out. All of us were supporters of a certain concept of revolution, and although the surrealists didn’t consider themselves terrorists, they were constantly fighting a society they despised. Their principal weapon wasn’t guns, of course: it was scandal. […] The real purpose of surrealism was not to create a new literary, artistic, or even philosophical movement, but to explode the social order, to transform life itself. The opening of Un Chien Andalou took place at the Ursulines, and was attended by the tout-Paris~some aristocrats, a sprinkling of well-established artists (among them Picasso, Le Corbusier, Cocteau, Christian Berard, and the composer Georges Auric), and the surrealist group in toto. I was a nervous wreck. In fact, I hid behind the screen with the record player, alternating Argentinian tangos with Tristan und Isolde. Before the show, I'd put some stones in my pocket to throw at the audience in case of disaster, remembering that a short time before, the surrealists had hissed Germaine Dulac's La Coquille et le Clergyman, based on a script by Antonin Artaud, which I'd rather liked. I expected the worst; but, happily, the stones weren't necessary. After the film ended, I listened to the prolonged applause and dropped my projectiles discreetly, one by one, on the floor behind the screen. 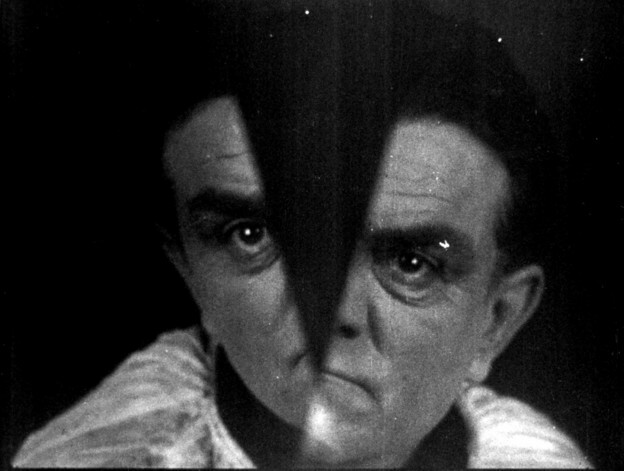 The Seashell and the Clergyman (Le Coquille et le Clergyman), the only of Artaud’s fifteen film scenarios to have been realized, had a chaotic debut in 1928. The Surrealists this time had come to help Artaud stage a protest. Stephen Barber reports that, “despite his forcible severance from the Surrealist movement, Artaud managed to gain the alliance of a number of Surrealists (and fellow expelled Surrealists) in his protests against Dulac,” the director. Artaud was objecting to Germaine Dulac’s treatment of his scenario—surprisingly he argued that she was too literal in her interpretation of his vision—whereas the others were revolting against what they saw as Dulac’s opportunism. Although Buñuel’s film, Un Chien Andalou, was widely championed as the first Surrealist film, Artaud felt that his film had been the first, and that Dalí and Buñuel, “along with Jean Cocteau’s film The Blood of a Poet, had stolen elements of the hallucinatory imagery, and the strategy of using sudden transitions of time and space.” The tenor of the this time was a tornado. Surrounded by small storms, Artaud shifted his focus almost entirely toward the theater. The Alfred Jarry Theater, the project that initiated Artaud’s break from the Surrealists, ran from 1927 to 1930 and featured performances conceived of and written by Antonin Artaud, Roger Vitrac, and Robert Aron. Here Artaud honed his theories of performance and wrote a series of essays that were published in 1938 under the title, The Theater and Its Double. 1. Luis Buñuel, My Last Breath, translated by Abigail Israel, (London: Fontana Paperbacks, 1985), 107. 2. Luis Buñuel, My Last Breath, 125. 3. Luis Buñuel, My Last Breath, 106. 4. Stephen Barber, The Anatomy of Cruelty: Antonin Artaud: Life and Works, (np: Sun Vision Press, 2013, 35. 5. Stephen Barber, The Anatomy of Cruelty, 36. 6. Stephen Barber, The Anatomy of Cruelty, 37. 7. Stephen Barber, The Anatomy of Cruelty, 30.